Kindly Reminder: You can select different channels to solve different problems, otherwise, you may waste time waiting. After you made an order, if you have any problems during the delivery, please click. If you have any problems, suggestions and recommendations after the payments, please click. If you need further information about our service(registration, payments, processing of purchasing ect), we'll react you in 1-2 days. After payment successful,commodities in pending（Order）,delivery problems,we will research and solve them in 1-2 days. 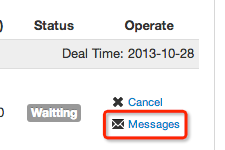 You can select "My Account>My Order",click the 'Message' button (Picuture),communicate with the customer service! 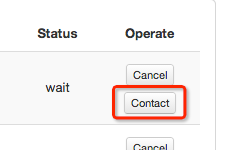 You can select "My Account>My Parcel",click contact C.S.button (Picture),communicate with customer service! After package sent out,if you have any problems,suggestions,recommendations, we will research and solve them in 1-2 days.